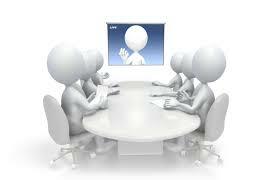 This videoconference meeting brought together members of the Working Group (WG) on Program and Performance Budgeting. This VC meeting was held to review and discuss performance indicators, countries use to track performance under government programs, and to decide further agenda of the WG’s on performance indicators.This WG, established in FY2016. currently includes members from Albania, Armenia, Belarus, Bulgaria, Bosnia and Herzegovina, Croatia, Georgia, Kosovo, Kyrgyz R, Moldova, Russian Federation, Serbia, Turkey, Ukraine, and Uzbekistan. The objectives of this WG are: i) to identify key trends in program budgeting implementation and spending reviews and ii) to learn from specific PEMPAL and international country examples in these areas. In 2016, thirteen countries have participated in the OECD Performance Budgeting survey including participating in explanatory survey workshops arranged through PEMPAL with OECD to facilitate documenting and benchmarking practices with those across the OECD region. In-depth discussions have also been held with representatives from the French Ministry of Finance, the World Bank, and the OECD SBO Performance and Results network on the use of spending reviews and other tools to strengthen performance. Based on the discussions during BCOP’s plenary meeting in Bishkek in April 2017 and in the Executive Committee meeting in Paris in July 2017the WG decided to focus in its future work on program budgeting performance indicators. This decision is also line with the findings of the Performance Budgeting Survey which indicated that PEMPAL countries have a common challenge in defining and tracking performance indicators, and the overall PEMPAL country reform priorities as confirmed in spring 2017. The WG was invited to hold a presentation on performance indicators in PEMPAL countries at the November 2017 meeting of the OECD Performance Network and this VC meeting was used to also prepare for this presentation.